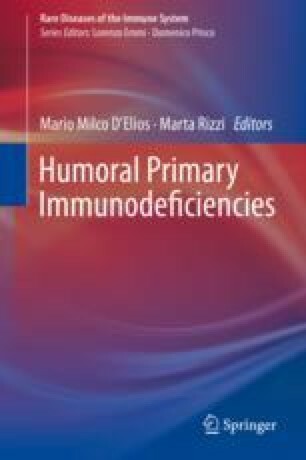 Common variable immunodeficiency (CVID) is the most common symptomatic primary humoral immunodeficiency. Hallmarks of the disease include hypogammaglobulinemia, recurrent infections, autoimmune manifestations, and increased lymphoma risk. Although the first cases were reported in the early 1950s, it took more than 50 years before the first genetic cause of CVID was described. Since then, and thanks to the advances in the field of genetic research, several genetic causes have been identified for CVID, offering thus a better understanding of the pathogenesis of this disorder and explaining its great clinical variability. In this chapter, we present an overview of the genetic findings related to CVID that apply still to a limited number of affected patients.